I've decided to try and apply one tip from The Tightwad Gazette each week for the next year. I've learned a lot from this author. This is one of my old standby book 'friends' that has tutored me in how to live frugally. Since we will be living off our savings and my small part time income this coming year, I thought it would be a good time to pull the book out again and see if I can learn some new skills in stretching our money. 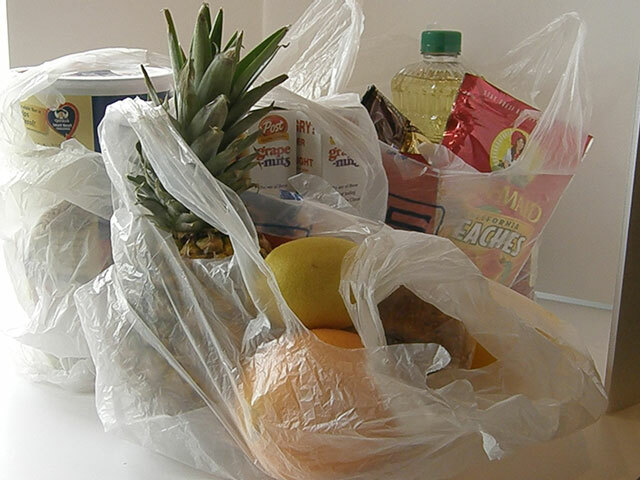 I learned a great tip from Tightwad Gazette years ago which was to examine every plastic bag that comes into your home with an eye for reusing it. I used to spend a lot of money on store bought freezer and storage bags. Because I've incorporated this tip in my home I only occasionally purchase bags at the dollar store. - any plastic bag that comes in a box. For instance, the plastic bag that holds instant mashed potatoes. I don't mind washing the bags as much as drying them. I normally hang them up to dry but this doesn't always completely dry them inside. So oftentimes I'll place my hand in the corner of a dish towel and then in the bag while drying the outside with the other end of the towel. My husband has promised to make me a drying stand so I won't have to dry them by hand. I found a new suggestion on washing plastic bags in the book that I haven't tried yet. It suggested throwing them in with a load of white clothes along with 1 tsp. of bleach and 1/2 cup laundry detergent and warm water. I'll be trying this soon. Once the bags are dry I store them by rolling them around the cardboard tube that you find in the middle of a paper towel roll and then I place the roll (of bags) in my kitchen drawer where I store the tinfoil ,etc. My goal this next year is to find more and more ways to use what I already have on hand. The less I throw away the less I'll have to buy. What do you save and reuse? Boxes for mailing gifts, glass jars for canning, and way too much stuff. I am getting rid of books and praying about who needs something I have. I am bringing books to Toastmasters tonight for two women who might like them. I used to iron a lot more back then. I need to start another sack like this, my grandbabies will be old enough soon to rummage through it. Funny you have this post today, as I have been convicted about this same thing every time I go to purchase plastic bags. I do save many of the plastic that comes into the house, but you have shown me how to stretch that even further. Thanks also for the inspiration to get my Tightwade book out as well. It has been some time since I have scanned through the pages. Thanks again for your timely post. I am a plastic bag washer but I never thought of rolling them on a cardboard tube. I usually airdry the outside first and then turn them inside out to dry the inside. Sometimes I hang them with a clothespin if I have somewhere that will work. I love Tightwad Gazatte and read it years ago but haven't recently. I think I would place the bags in a mesh laundry bag before putting them in the washer--I would think that otherwise they could tear, get tangled up in the agitator--or a small one could even go through the drain--I have heardof baby socks doing this. i have for years washed and re-used the store-bought zip close bags but have not saved the others you mentioned. i think i may need to start doing this. Do you save all of the margarine, sour cream, etc containers, too? i did years ago when my girls were little but now i have a good supply of glass containers for left-overs so i throw all the others away. We have not purchased trash bags at all for at least the past two years. We get plastic grocery bags free when we shop, we save all of them, we initially use them to store our homemade bread, then we use them for trash bags. I do not have a trash can taking up room in my kitchen, I simply hang a plastic grocery bag on the pantry door handle and once it is full we take it out to the wheelie bin. Advantages, we have nice bags to store/freeze our bread in, once the bread is eaten we then use the bag as a trash bag, we never have a "Stinky" trash can in the kitchen, and best of all we NEVER have to purchase trash bags. We also make our own laundry detergent, it is extremely economical to make, and works well, this removes many plastic laundry containers out of the trash/recycle cycle. We home can a lot of our food, simply being able to wash and reuse the jars is a wonderful thing! I love the Tightwad Gazette, I finally purchased a copy when I realized just how often I was taking it out of the library. One tip I have used for years out of the Tightwad Gazette is using the mesh bag onions come in as a pot scrubber - we have done this for years and it works very well. I hate to spend money on household items like plastic wrap. I prefer to spend money on fun things. One favorite trick I use is, like you said, re-using any plastic bag. I use the inside plastic bag that comes in cereal boxes for freezer wrap. It is heavy duty plastic, all you do is clamp the end with a clothes pin or other clip. Since cereal like Cheerios isn't dirty, you don't even have to wash out the bags, just shake them out over the sink (although you may rinse them). I use the outer box to scoop the cat litter waste into and take it right outside. This kind of saving makes sense. I bake my own bread since I can't stand to pay $3-4 per loaf and mine is much better anyway. One problem, though, is keeping it fresh. We get the Sunday newspaper so that I have coupons and I reuse those bags for my bread loaves. I'm not heating my bread in the bags so I don't worry much about the composition of the plastic, they are the perfect shape and my clean newspaper (which could be used to wrap up fish and chips) isn't going to hurt having touched the inside of the bag. Some people might not like this idea but we haven't suffered a bit for it and I never have to buy bread bags. Two ways I've dried bags--one I sometimes have a large wooden spoon or similar utensil in the dish drainer near the sink--I turn the wet bags inside out and put them over the end of the spoon to drip dry--then later turn back rightside out and do it again. Another way--if you have lots of bags--you can dry them in the dryer with a load of clothes--if its on tumble or permanent press--be sure to take them out in about 10 minutes they will melt at highter temps and sometimes old zipper bags won't zip again--other times they will. Oh my goodness! The more I read the more I like! ;) I love the tightwad gazette and am trying to be as frugal as possible! 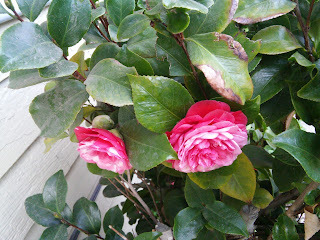 Love your blog,recently found. Also looking forward to reading Laines letters. I save my butter wrappers in the fridge to grease pans for baking. I make my own bread and after slicing the bread, save the crumbs from the tray in a jar for bread crumbs. I made beautiful bags for Christmas gifts from old blue jeans. You can make produce bags from old shears and mittens from wool sweaters from the thrift stores. Pinterest has lots of ideas on how to re-use items for very little cost.